Asprey Healthcare prides itself on creating kind and compassionate care homes. We aim to deliver the very best care and services through our wonderful team of dedicated and passionate staff, who in turn are led by an equally dedicated, supportive and experienced leadership. We genuinely care about everything we do and recognise the importance of attention to every detail. We believe this is a key requirement to providing the best person-centred care and we care for each and every resident as an individual. “The glory of the elderly is their insight to life"
Asprey’s close-knit staff teams provide a resident-orientated, needs-led service. This means every resident has an individual care plan, tailored specifically to meet their preferences and needs. Each care plans is frequently re-evaluated, to enable your loved one to lead a fulfilling and enjoyable life, giving you peace of mind. Our passionate and dedicated Lifestyle Co-ordinators deliver a variety of daily activities from personal background to social pastimes, entertainment, gentle exercise to external outings. At Asprey, our aim is to combine purpose-built care homes with stylish, bright and airy bedrooms and spacious communal areas, all set within beautiful landscaped gardens. We offer spacious single bedrooms with ensuite facilities, TV's, nurse call bell and a full laundry service. Permanent residency or respite are always available. Delicious and nutritious home cooked meals are on the menu today! Good nutrition is vital for the health, independence and wellbeing which is why Asprey employs its own in-house chefs at Smallbrook and Sherwood House Care Home in order to provide fresh tasty meals for our residents three times a day with snacks and refreshments. Asprey caters for specific dietary requirements and we try to accommodate individual preferences. 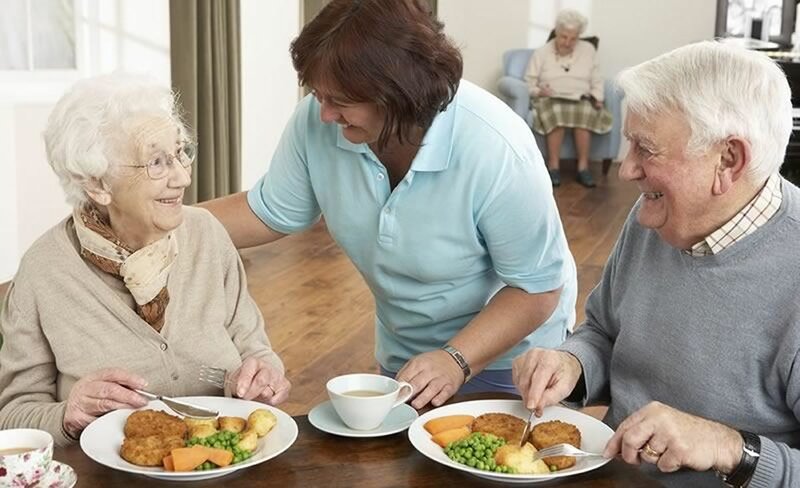 We also encourage meals within our activities programmes promoting the enjoyment of past times and stimulating favourable memories for residents.